TAHITI COUNCIL CHALLENGES COLONIAL STATUTE REVISION JUSTIFYING FRENCH NUCLEAR TESTING AS "CONTRIBUTION"
There is new opposition to the amended autonomy statute for French Polynesia which is to be debated in the French Assembly overnight. A member of the Social, Economic and Cultural Council, which is an advisory body in Tahiti, has written to the French prime minister challenging the wording of French Polynesia's role in France developing its nuclear deterrent. Christian Vernaudon said it was inappropriate to state that French Polynesia contributed to the French plan to become a nuclear power. He said France was forced out of Algeria and without ever asking for consent, Paris decided to impose the further testing of its weapons onto the Pacific. Mr Vernaudon said the revised autonomy statute, which has already been approved by the French Senate, should instead state that France is fully responsible for the aftermath of the tests. This means, he said, that France should undertake to repair all the damage the tests have caused without invoking clauses allowing it to challenges this in the courts. 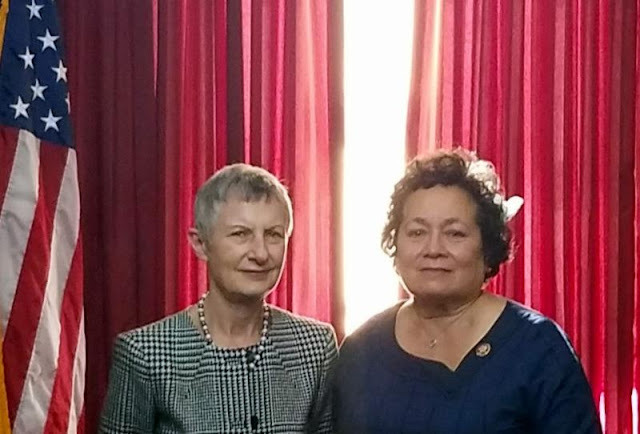 Two months ago, the French Polynesian president Edouard Fritch said the main point of the revised statute was to calm domestic and international opinion about the weapons test legacy. 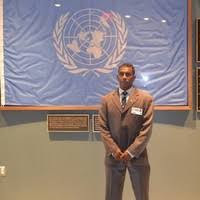 CONSEQUENCES OF FRENCH NUCLEAR TESTING EXPOSED AT U.N.
As you landed in Bonaire and firsthand experienced a modernized version of a Dutch colony where the Bonaire peoples are governed in a status not of their choosing. An island where the Dutch government is blatantly continuing violating the Charter of the United Nations, international law and fundamental human, self-determination and democratic rights of the peoples. An unprecedented showoff of hypocrisy to pretend to the world that the Dutch stand in defense of human rights and democracy where your government does not respect the democratic voice and decision of the peoples that never chose to be annexed nor integrated and embedded under unequal rights as second class citizens in a colonial status and to be ruled by the Hague. A status that was overwhelming rejected with a No-vote of 66% in the last referendum of 2015 and the recent island council election where your government denied the people of St Eustatius democracy and could not vote, the people of Bonaire protested and boycotted this election as never before and continue showing their unhappiness towards a system of government which is against the wishes of the peoples. As never before I write this letter with a lot of positivism and hope for our peoples of Bonaire that you as the new minister of Kingdom Relations with your first working visit and introduction to our island will understand our situation and our struggle contrary to all your predecessor ministers of Kingdom relations. All prior ministers and your accompanying state-secretary Mr Knops and us could never reach an understanding or consensus on the most simple fundamental aspect of humanity that we 'all are born equal in rights and dignity' and we Bonerians have the same right to be as free and as equal and as human as the European Dutch. I expect that before coming to our island, and as my previous letter to you in March 2018 kindly asked you, to take note of my various previous letters to the Dutch government in which I am informing your Government that your dictatorial un-democratic course of action infringes against your own agreed treaties and the international legislation. You studied and have a MA in history and have the capability to look into our common colonial history and understand this hidden dark truth where the Dutch being a insignificant fishing village became one of worlds richest nations through piracy, smuggling and slave-trading. Your travel-partner mr Knops publicly proclaimed to me during his first visit to Bonaire that he don't know nothing about our collective colonial past and treaties and human rights and this illegality does not seem to interest him either. However recently Mr Knops admitted based on continued criticism of the Advisory Council of International Affairs (AIV) in violation of the Fundamental Human Rights in the Kingdom that your cabinet has decided to change course, and that Human Rights treaties will now apply not only in the European Netherlands , but also in the Caribbean Netherlands. This good news increases our hopes. Our hope is now fully fixed at you as besides your capability to study and understand the history, what is more compelling, is that your father - a Finnish-Swede - was born in a Dutch colony, in Sumatra and lived and understood colonialism and that in the 21st century, anno 2019, colonialism is a crime against humanity declared by the international community and United Nations. As all previous Dutch ministers and statesmen have shown no human-feelings towards us as they see us as as not-equal and not-as-human as themselves and as colonized peoples this could be a deficiency either by mis-education of human values or could be transferred by Dutch-ancestral-DNA. Your ancestry that your are not Dutch but Finnish-Swedish could save us from the current course of systematic eradication, ethnic cleansing of the Bonerians. Global decolonization expert Dr. Carlyle Corbin illustrates point on democratic deficiencies and decolonization in small island territories during conference at the University of Aruba. "Contemporary dependency governance arrangements characterised by political and economic inequality do not meet requisite standards of democratic governance and the full measure of self-government with absolute political equality." This was one of the key concluding observations of an academic paper entitled "A Challenge to the Legitimisation of Dependency Governance in Small Island Territories" presented by global decolonization expert Dr. Carlyle Corbin to the "First International Conference on Small Island States and Subnational Island Jurisdictions" held at the University of Aruba from 26-29 March 2019. A review of the paper was provided to OTR by the global Dependency Studies Project and is featured below. 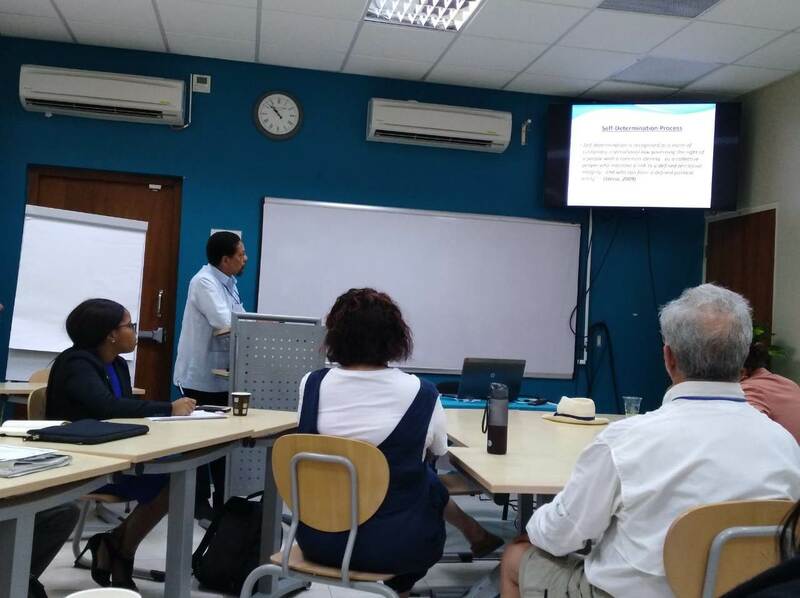 A scholarly paper entitled "A Challenge to the Legitimisation of Dependency Governance in Small Island Territories was presented by global decolonization expert Dr. Carlyle Corbin to an audience of international scholars attending the"First International Conference on Small Island States and Subnational Island Jurisdictions." The conference was held from 26 through 29, 2019 March at the University of Aruba, and was co-organized by the University of Prince Edward Island. The paper provided important insights on the state of play in the contemporary decolonization process for island territories with particular emphasis on the Caribbean Sea and the Pacific and Indian Oceans. 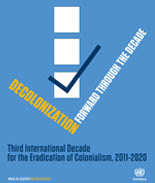 In the paper, Corbin observed that while the United Nations (U.N.) Third International Decade for the Eradication of Colonialism was scheduled to end in 2020, "prospects were unfavourable for the completion of a genuine self-determination process and consequent decolonization for the seventeen remaining Non Self Governing Territories (NSGTs) and other Peripheral Dependencies (PDs) in the Caribbean and Pacific administered by extra-regional States." Corbin, who lectures widely on self-determination and decolonization issues, noted that in the absence of progress on decolonization for the remaining territories, the resultant political vacuum has encouraged a tendency in some quarters towards legitimization of existent dependency arrangements despite their inherent political and economic inequality. The paper provided an historical overview of the international decolonization mandate through an analysis of the three periods of decolonization, namely 1) the "pre-decolonization period" following the 1945 adoption of the U.N. Charter, 2) the "decolonization acceleration period" following the 1960 U.N. adoption of the landmark Decolonization Declaration (Resolution 1514 XV) and its companion resolution 1541 XV on standards of decolonization legitimacy, and 3) the "decolonization deceleration period" which emerged after "the thawing of the Cold War" at the beginning of the 1990s, and which has lasted through through present day. In the paper, Corbin examined the political stalemate which has stalled the decolonization process for island territories, reviewed the U.N.’s implementation deficit which has contributed to this impasse, and explored key self-governance deficiencies in the island dependencies through the application of the Self-Governance Indicators (SGIs) diagnostic tool used in independent self-governance assessments of the dependency, autonomous and integrated political status arrangements. Following a review of the geo-strategic and geo-economic context of the remaining island dependencies in the two regions, Corbin identified the three "first-tier" cosmopoles of France, the United Kingdom (U.K.) and the United States (U.S.) which administer dependencies in the Caribbean and Pacific regions. The "first tier" cosmopoles were so characterized because of their status as permanent members of the U.N. Security Council. He also made reference to other administrative powers such as the Netherlands in the Caribbean, and Australia and New Zealand in the Pacific/Indian Ocean regions, which maintain varying degrees of dependency, autonomous, and integrated arrangements. While the theme of the Aruba conference lumped the dependencies into a broad grouping of "sub-national island jurisdictions," Corbin used the more descriptive U.N. nomenclature to identify in greater depth the distinctions between the "Non-Independent Countries" through the three categorizations of 1) Non-Self-Governing Territories (NSGTs) under U.N. review, 2) Autonomous Countries (ACs), and 3) Integrated Jurisdictions (IJs). In the section of the paper on Principles of International Law and Self-determination, the decolonization expert explored the international mandate for self-determination with relevant academic references, including the particular analysis of legal scholar Milena Sterio who characterized external self-determination in a University of Minnesota Journal of International Law as "a norm of customary international law governing the right of a people with a common identity, who maintain link to a defined territorial integrity...and who can form a defined political entity." Corbin emphasized the direct relevance of Articles 1, 55 and 73 of the United Nations Charter which provide the international self-determination mandate, along with the predecessor Covenant of the League of Nations which had provided earlier expressions on the principles. Mention was also made of self-determination provisions contained in more recent instruments including the International Covenant on Civil and Political Rights (ICCPR), the International Covenant on Economic, Social and Cultural Rights (ICESCR); the International Convention on All Forms of Racial Discrimination (ICERD); and the U.N. Declaration on the Rights of Indigenous Peoples (UN-DRIP). issues with Dr. Corbin during break in conference proceedings. In the presentation, Corbin spent considerable time on the landmark Decolonization Declaration of 1960 (Resolution 1514 XV) which he explained served to "reinforce the inalienable right to self-determination and which provided, in principle, for the transfer of powers to the territories "in advance of the act of self-determination." On this point, he provided examples of differing referenda held in various territories which were inconsistent with the transfer of powers principle, and therefore could not be considered as genuine acts of self-determination." "Dependency status was meant to serve as a preparatory phase (under Article 73(b) of the U.N. Charter leading to complete decolonization with the full measure of self-government with absolute political equality - the two primary principles of international self-governance doctrine." He pointed out, however, that "many autonomous or integration arrangements do not meet these two primary principles" and that a strategy of "dependency legitimization" had emerged that seeks to circumvent these principles for the dependencies as well. This strategy, he said, is being pursued while the exercise of unilateral authority of the cosmopole over these governance arrangements continues unabated. To illustrate this point, Corbin cited examples of the British "modernization" of the internal constitutional orders in the U.K. - administered dependencies in which the ultimate authority of the cosmopole is preserved via 'reserved powers' of the British-appointed governor. In several instances, he noted that this cosmopole authority has resulted in the abolition of Elected Dependency Governance (EDG) in favour of Appointed Dependency Governance (ADG) as in the case of British action in the Turks and Caicos Islands in 2009, Netherlands action in the case of Sint Eustatius in 2017, and Australian action in Norfolk Island in 2016. 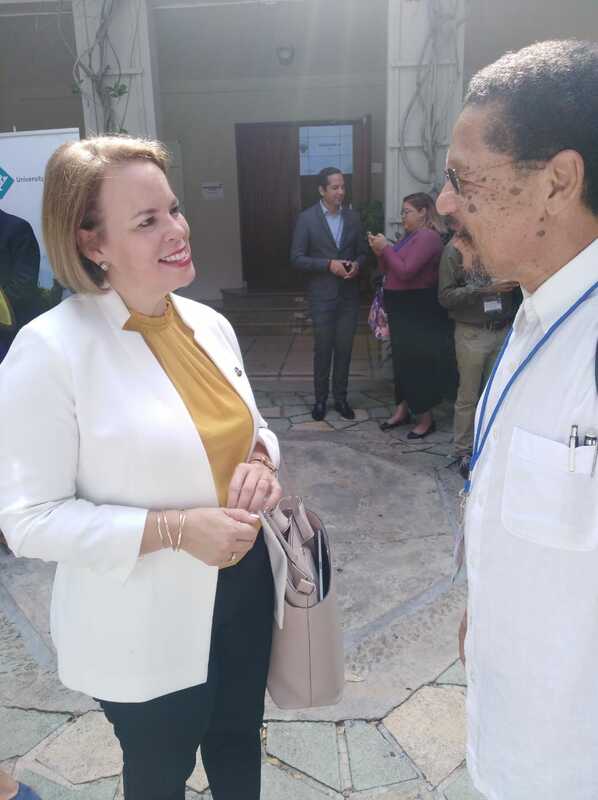 He also recalled the unilateral U.S. Congressional authority to legislate for the U.S. - administered dependencies in the Caribbean and Pacific under the "territory and other property clause of the U.S. constitution. In this connection, he cited the creation by the U.S. of a financial control mechanism in Puerto Rico in 2016 removing control of the financial management of the territory and placing it under the authority of a U.S.- appointed oversight board. He argued that "the continued vulnerability of the U.S.- administered dependencies to unilateral action of the cosmopole can only be addressed through a genuine process of self-determination." He further observed that in his own territory of the U.S. Virgin Islands "the inclination is to focus on the particular question of deficient political rights in the U.S. system rather than a sustained concentration on the general question of the deficient political status as a whole." 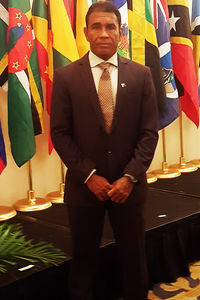 Corbin served as the former Minister of State for External Affairs in the Virgin Islands Government. In the paper, Corbin further examined the residual unilateral powers exercised by the Netherlands through their autonomous country' model for the three islands of Aruba, Curacao and Sint Maarten; and the 'partially integrated public entity model in Bonaire, Saba and Sint Eustatius. He went on to make reference to what her perceived as the "illusion of autonomy" existent in the French collectivity model such as French Polynesia which retains for the cosmopole control over the major competencies of the territory in key areas as natural resources, defence, revenue generated in the territorial economy, and a host of other areas. He noted that the U.N. reports on French Polynesia recognized that the territory only exercised a degree of administrative autonomy, rather than the requisite political autonomy. 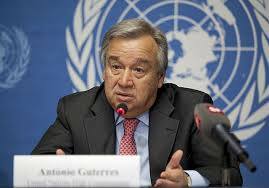 He recalled that this imbalance of power between the territory and cosmopole was revealed in a Self-Governance Assessment (SGA) on French Polynesia in 2012 through the application of the Self-Governance Indicators (SGIs), and is recognized by the U.N. General Assembly as the substantive basis for the territory's re-inscription on the U.N. list of Non Self-Governing Territories (NSGTs) in 2013. Corbin made use of a detailed informational chart entitled "Instruments of Unilateral Authority" to provide a comparative assessment of the various cosmopole-controlled dependency models and the specific legal instruments of administrative and political control, including constitutional orders, organic acts/laws, cosmopole legislation applied to the dependencies, and other mechanisms. In this context, he pointed to SGAs which had been conducted in French Polynesia, Curacao and other island jurisdictions that applied the Self-Governance Indicators diagnostic tool to assess the level of self-government in the respective political status arrangements. In the paper, Corbin provided a broad overview of the democratic deficiencies contained in contemporary dependency governance models in play in the remaining "dependentocracies" which he argued were indicative of an "incomplete decolonization with a fundamental imbalance of power between the territory and the cosmopole." In referring to "a certain mythology of dependency legitimacy," Corbin concluded that the Caribbean and Pacific are often "mis-characterized as regions existing in a post colonial condition" due to a significant gap in the analysis of what constitutes full self-government. In reality, he concluded, "these political and constitutional models are merely representative of "modernized forms of political / economic inequality, and democratic deficit, and this condition could only be alleviated through the promotion of the full measure of self-government by the respective cosmopole in adherence to their responsibilities under international law. The paper provides an excellent analysis of contemporary dependency governance in island jurisdictions across the globe, and is a significant contribution to the scholarship on issues of self-determination and decolonization for island dependencies. The Dependency Studies Project highly recommends the paper as essential reading for cosmopole and dependency governments alike; U.N. member States and Secretariat; and academics in the fields of governance, diplomacy, and international relations. NKBB congratulates the peoples of Bonaire for their unprecedented act of courage and resistance of massively protesting and boycotting the March 20, 2019 cover-up elections organized by the Dutch government in a desperate action to legitimize the Dutch colonial status imposed on October 10, 2010. As all political analysts are analyzing the results, NKBB determine that the referendum 2015 base of 5040 No-Votes remained steady and grew further. The 2019 elections results shows (that) 5269 No-Voters and 215 blank and invalid votes, and the pro-Bonaire parties (EN-UPP-FSP-URB) with 1284 votes totaling 6768 voters, remained unhappy and protested against the current colonial status. And we still have to add to count to this amount all the citizens that in the election, voted out of tradition, emotion, loyalty, etc to their PDB and UPB leaders and candidates but are against this system, and wants Bonaire back, and voted No in the referendum of 2015. NKBB called to the people to either don't vote or vote blank as protest, don't fall in the Dutch democratic trap and to protect the results of the massive rejection of the current status in the 2015 referendum. Don't vote to continue to show the dissatisfaction against the illegal annexation and embedding of the territory and the peoples of Bonaire in the Dutch constitution without equal rights and under Dutch colonial rule from the Hague. The protest-vote was simultaneously an act of solidarity with the peoples of our sister island Sint Eustatius where the Dutch government through undemocratic abusive actions deposed the legitimate elected government and deprived the citizens of St Eustatius of their democratic human rights by blocking the scheduled free election. The political party MPB which campaigned extensively and publicly in 2015 referendum for the Yes-vote and lost the referendum with 2649 yes-votes, grew with 927 votes in this election more merely of Dutch-European immigrants, who voted to maintain the current status won the 2019 elections but will remain to be against the people of Bonaire which rejected this structure in the 2015 referendum. This result is evident since 2015 the population keeps on growing at rate of immigration over 400% with mostly immigrating Dutch-Europeans with the right to vote after 90 days residing on Bonaire. The cruel reality is the fact that Bonerians are displaced and facing an inevitable ethnic cleansing process, and are reduced to the minority on our own island. A revolution was initiated with NKBB call to boycott and protest against this political system that is illegal and a clear colonial structure got the whole local island leadership which still believes in this system where they have no-power and the Dutch government in the Hague governs and decides, were challenged in their core beliefs, stood up against NKBB. The Dutch propaganda machine mobilized intensively to counter the possibility of the peoples protesting and not voting. All media outlets were flooded, thousands were spent by the Dutch-government to promote go-vote. The “RijksDienst Caribbean Netherlands” (RCN) the Chamber of Commerce, the elite and service groups leadership united , the Dutch press/ media conspired and intimidated the local press to boycott and stop NKBB from exposure in the Dutch and local press, innocent popular Bonaire icons where miss-used to promote go-vote etc. The governor Mr Rijna, not-elected and appointed to represent the King and the Kingdom interests, was used as some kind of main mascot, almost everyday in the media, to call on the people to make use of their sacred-right to go-vote. Hypocrisy at its highest to oblige the people to go-vote and legalize a system that has shattered and violated all their sacred fundamental human , democratic and self-determination rights. On election-day as never before in our history, an all day-long all media campaign, also from our sister islands, headed by the governor to call on the people to go vote. And despite all this propaganda to promote a non-existent fake-democracy, voting in a Dutch ruled colony, the people of Bonaire stood strong and showed that they will fight to the end for their island and defeated all powers of manipulation. All prior elections the turnout was over 80%, now fell to about ca 60% and deducting all the Dutch-Europeans and immigrant loyalists and mercenaries we can safely establish that the turnout is under 50% . With this result the people of Bonaire has rescued and re-established their dignity. The hope is alive and regained new strength and we are urging the people to come together and support NKBB trajectory to re-list Bonaire back on the NSGT list of the UN to get the international community involved to regain our rights, and to be as free and as equal as all Dutch-Europeans. With this letter we denounce conspiracy and extortion by the Dutch State interference to undermine the Bonerian press and media fundamental right to freedom of free press. Recently on March 6th the major leading daily newspaper of Bonaire, the Extra, on page 31, through an editorial article denounced that they were approached by the Dutch media, based on a “general media pact and agreement”, to conspire to boycott and silence Mr. James Finies, president of the civil society organization : foundation Nos Ke Boneiru Bek (We Want Bonaire Back). Governor Rijna, a non-democratic appointed governor-institution, representing the King and Kingdom, maintaining powers above/and to over-rule the elected government, main duty is the legal protection of the rule of international law and as such to respect, to protect and to comply with our peoples rights. Above described gestapo tactics by the Dutch State and Dutch media conspiracy and intimidation of the local media could lead to a totalitarian or dictatorship rule if the people are not informed by free press. Mr Rijna should take note of the fact as the people if they are not informed freely, cannot make up ones mind and cannot have an opinion. They will be deprived not only from its capacity to act but also of its capacity to think and to judge. With such a people you can then do what you please. As Mr Rijna is aware that our foundation NKBB has position itself towards the upcoming elections advising the people of Bonaire to protest and boycott this election to vote blank or no vote. Contrary to Mr Rijna press-conference urging the people to use their sacred rights to go vote in a illegal system, rejected by the people and where the power is held by the Dutch parliament in the Hague. A blank vote or no vote is internationally recognized as same, exercise of this sacred right. This “protest-vote” is to demonstrate the peoples dissatisfaction of political alienation by the imposed current political system of public entity and as rejection of the Dutch democratic trap to legitimize the 1st chamber, the Dutch senate, with the ultimate aim to legalize the current illegal status and all imposed laws against the Bonerian peoples. Our “protest-vote” is also in solidarity with the peoples of our sister island Sint Eustatius. Statians cannot vote and are deprived from their “sacred-democratic-rights” because the Dutch government deposed the legitimate elected government in February 2018 through undemocratic abusive legislative, military and police actions and stopped the scheduled free election. Our main request to Mr Rijna as governor is to condemn above revelation of the Dutch state and media conspiracy and blackmail against the Bonaire free press as a serious threat and commence a investigation. Secondly please rectify your last public statement of misinformation and to tell the people of Bonaire the truth that a blank vote or no vote is also a legal exercise of their “sacred”democratic right as a “protest vote” . And finally as Mr Rijna inspiring initiative of promoting, voting, by writing 685 personal letters towards the first-time-youth-voters on Bonaire to go vote. It would be morally correct, an heroic act of compassion and brotherhood towards our alienated brothers of Sint Eustatius that are deprived of democracy and cannot vote to do same and write 150 letters to all Dutch 2nd chamber parliament members and another 75 letters more to all members of the Dutch Senate requesting them to restore democracy back on Sint Eustatius so the peoples of Sint Eustatius can also make use of their sacred democratic right as civilized peoples in the Kingdom.